Isaac and Abraham ORCHARD: Friends of John Wesley! It was apparent that, from Isaac’s obituary in the Wesleyan Methodist Magazine, he was an upstanding member of the church and had served as district treasurer of their Missionary Society for many years. However, Isaac’s association with Methodism was far more interesting than that. The book ‘At Satan’s Throne: the story of Methodism in Bath over 250 years’ (Ed: Bruce Crofts. 1990) describes John Wesley’s connections with Bath and its inhabitants as the church was slowly established there. More than that, men and women who were friends with Wesley at this time were named: “As hosts, leaders or correspondents, his own records name them: John Giles, Joseph Symes, Abraham and Isaac Orchard, John Baker and Edward Hadden all met him in the intimacy of their own homes, or had close association with him.” Also “…Isaac Orchard is named for a second term in 1800 as Society Steward.” Incidentally, John Baker was Isaac’s brother-in-law, marrying Lydia ORCHARD in 1789. To find that Isaac had been an intimate of John Wesley was exciting stuff indeed. I went to Bath Record Office to see if they had any material on Methodism and found to my delight that Bruce Crofts had deposited his research notes in their archives! For hours I pored through various collections and found several pieces of interest. 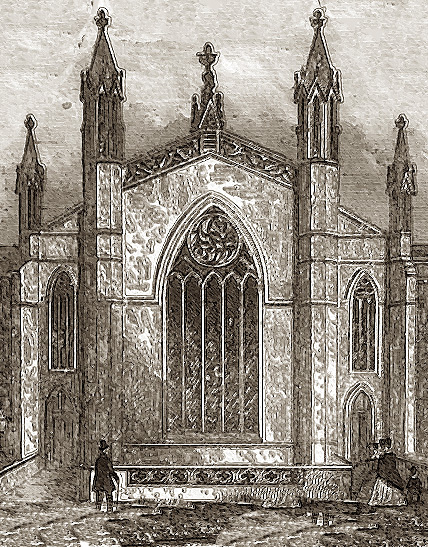 Isaac was one of nine members forming an Acting Committee at New King Street in order to raise funds and build the new Chapel which still stands at London Street, Walcot. 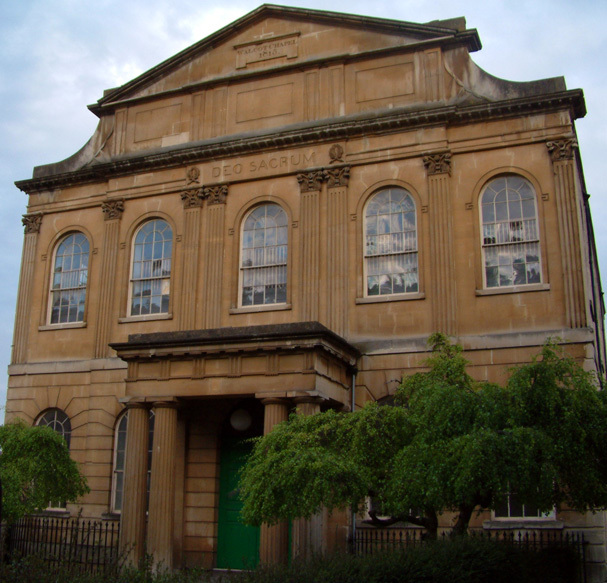 Every detail of the building’s development, particularly the accounts, from the chapel’s inception to attendance at the new Sunday school was recorded in a big brown ledger (now at Bath Record Office). From this, I could see that, for his part, Isaac was charged with the task of writing to a London architect and ordering up the survey and plans. He also paid £53 10s 6d subscription toward the cost of the building, the second largest donation in the record. It appears that Isaac was also responsible for checking the builder’s accounts and for raising funds from members towards the day to day running. He also provided some of the furniture (for which he was paid). So, Isaac was one of a small group of men that were the driving force behind bringing John Wesley’s teachings and philosophy to Bath, as well as being his personal acquaintance. His obituary, therefore, had been a little understated! Incidentally, the Bath (Wesleyan) Society accounts of the 16th July 1793 records: “Stewards changed from J Symes, Ed Haddon, Fred Shum, Henry Newton to Henry Newton, William White, Henry Pedlar, Isaac Orchard. These were chosen by the committee.” This then was the first record of stewardship for Isaac, the second having been in 1800 as noted in ‘At Satan’s Throne’. A steward’s position was only held for one year it seems. Regarding Abraham the solicitor, I have searched many records exhaustively (and exhaustedly!) but still failed to bury the poor man or even kill him off. Although the Law Journal Report of 1864 mentioned Abraham Orchard’s death in 1800, I have been unable to confirm this. Nor is the Methodist collection of papers tremendously forthcoming, even though I am led to believe that Abraham was a friend of Wesley. 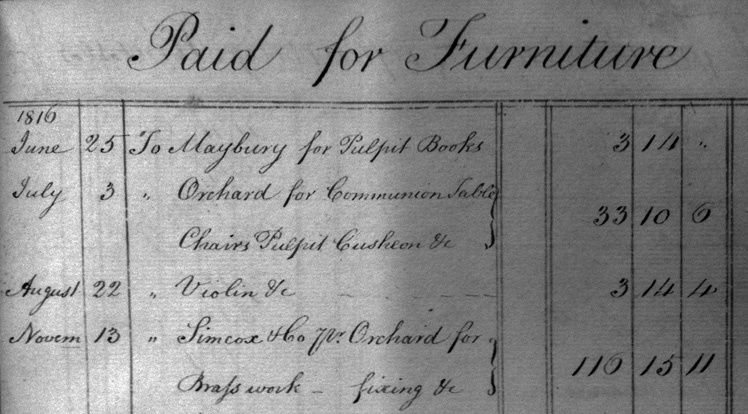 The Bath Society accounts for 1st January 1793 record: “Resolved by stewards and leaders that henceforth Isaac Challenger shall be given the sum of six guineas per annum for services to New King Street Chapel. Signed John Giles, Joseph Symes and Abraham Orchard.” So it seems that like Isaac, Abraham was serving on at least one church committee but there it ends. Interestingly, Abraham made a surprise appearance elsewhere. A chance sighting in the 1923 edition of ‘Notes and Queries’ led to a hunt for the will of a gentleman named Philip DITCHER, a surgeon who died in Bath in 1781. Although the content of the will was of no particular relevance, what had caught the attention were the signatories to the will: John JEFFERYS, John JEFFERYS Jun and Abraham ORCHARD, clerk to Mr JEFFERYS ‘S’ (?senior). Who were the John Jefferys? The older man was an attorney, born in ~1753, who became Town Clerk of Bath. He was a ‘lapsed’ Quaker whose very brief obituary was published in part two of the Gentleman’s Magazine and Historical Chronicle 1800. John Jefferys the younger appears to have also been a man of law and, when his father died, took up residence at the family home in the very prestigious Royal Crescent, at number 19. An article in the Bath Chronicle said of the older man: “As one of the city’s leading citizens in the 18th century, town clerk John Jefferys was accused of exercising tyrannical powers over the Bath Corporation, which ran the city. But, according to letters which have surfaced at auction, it seems he was powerless to resist the charms of a pretty woman. Jefferys was reduced [in 1791] to offering an astonishing £40,000 bribe to Grace Norton in a desperate bid to persuade a woman to marry him.” Strangely enough, Miss Norton refused his offer. This letter formed part of a large collection of documents pertaining to Jefferys which were sold at auction by Bonham’s in 2008. With the aid of a grant, the collection was purchased by none other than Bath Record Office! Unfortunately, a search of the now indexed contents has not revealed Abraham Orchard; hardly surprisingly since he was a lowly young clerk. I assume that Abraham worked for the older man, a position that was part of a career path towards being the solicitor that he would one day become and, like Jefferys, he would make a good living from selling property. Now I wait, with some anticipation, to see if a fellow genealogist in the US has managed to track down either of the Orchard men in a Dictionary of Biography of all those people who knew John or Charles Wesley. Fingers crossed! This entry was posted in General and tagged abraham and isaac, Abraham ORCHARD, Isaac ORCHARD, John WESLEY, New King Street Chapel, Walcot Chapel, wesleyan methodist. Bookmark the permalink. 11 Responses to Isaac and Abraham ORCHARD: Friends of John Wesley! I stumbled upon your blog as I was just reading about a girl called Elizabeth Orchard in a little book called “Stories of Boys and Girls Who Loved the Saviour”, by John Wesley I thought this might be of interest if you had not come upon it before, espeocially as this piece of your blog was about the Wesley connection. http://www.gutenberg.org/browse/authors/w (John Wesley) – The dates are a bit odd. Wow! It isn’t often that a reader’s comment on my blog is quite so exciting; how marvellous that you have this book and that you know something of the previous owner. I would deem it a massive favour if you could perhaps scan that page and let me have a copy? I could add the illustration to the blog and the signature would also be very useful for comparative purposes amongst other family documents. Thank you so much for letting me know about your new purchase. What inspired you to buy it? Walter… I wholeheartedly agree with your sentiment. Not surprisingly, given this blog, I too am interested in history and I particularly love old books, maps and photographs. I would have thought that the chance of you finding a written history of the owner of a fairly common hymn book (I too have one of these; it belonged to a family member) was pretty remote; there must have been many of these about at one time. I wonder where it has been since 1811?! Thank you for the offer of a copy of the page in question; my email address is ranaridibunda@hotmail.com. Much appreciated. A series of free walking tours celebrating 80 years of the Mayor’s Guides. Discover the secrets of some of Bath’s most famous former residents and why they deserved bronze wall plaques. Start: By Assembly Rooms in Alfred Street.